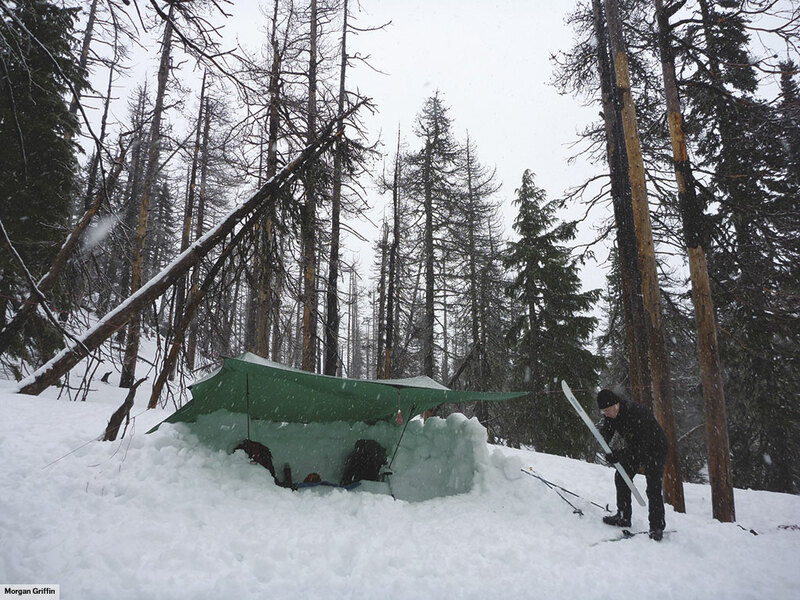 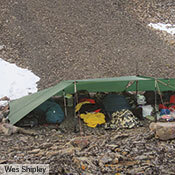 The most basic shelter solution: lightweight, simple, and remarkably adaptable. 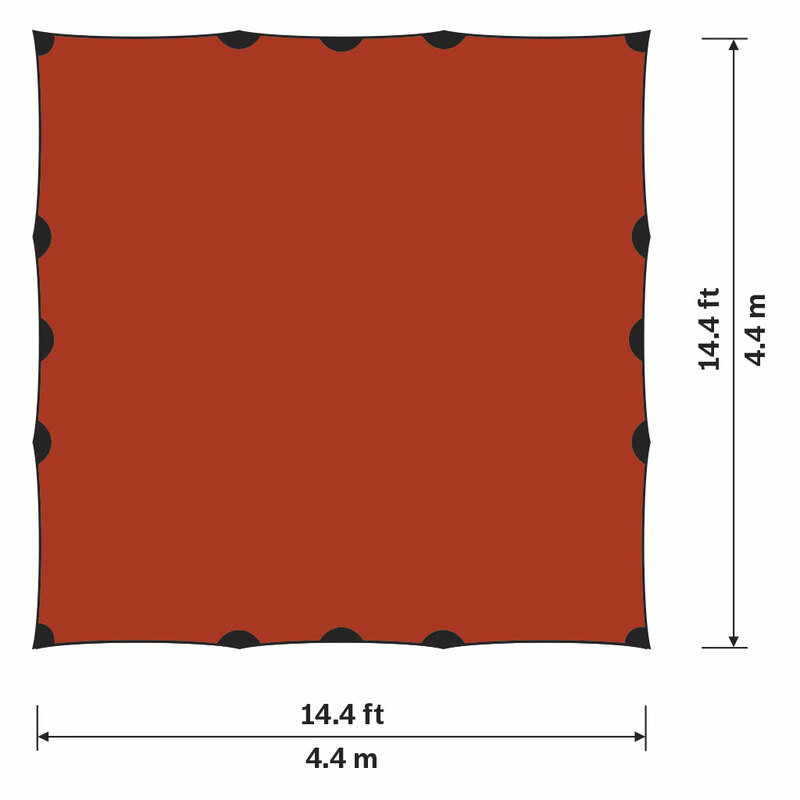 * Kerlon XP is a 70 Denier Ripstop Nylon 6 fabric, 100% silicone coated on both sides with a total of three layers, treated for UV resistance during dyeing and coating. 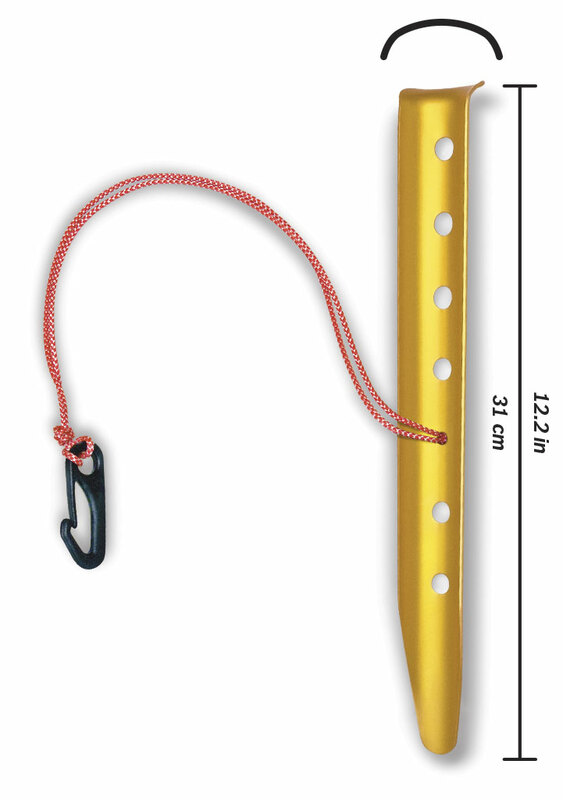 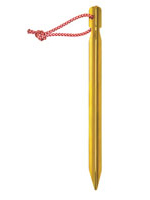 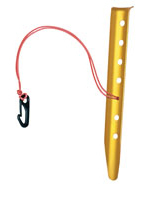 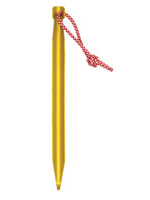 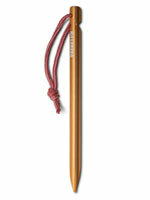 It weighs 68 g/m² (2 oz/yd²), has a 20 kg (44 lb) tear strength, and a 3000 mm hydrostatic head. 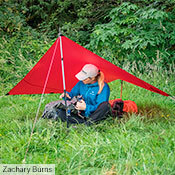 Our smallest model, the Tarp 5, is designed specifically to cover a single person while also providing extra room for gear. 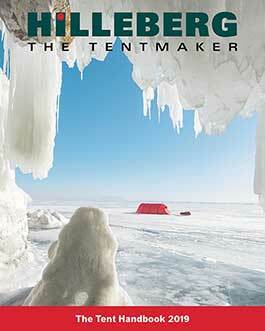 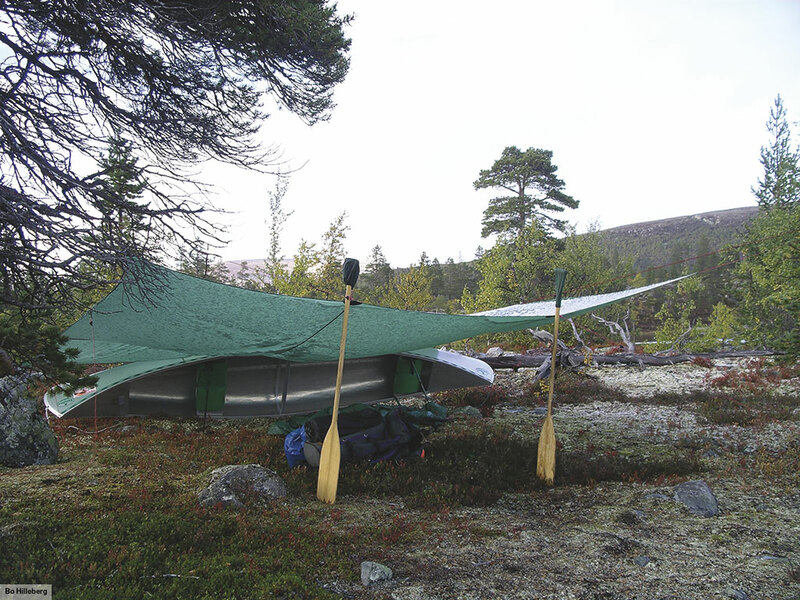 Its shape makes it easy to get into and out of, and it can be pitched fairly high off the ground for the full, airy, tarp experience, or with its edges nearly, or even fully, on the ground for a remarkably protective refuge from bad weather. 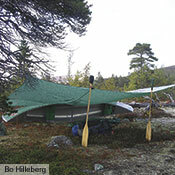 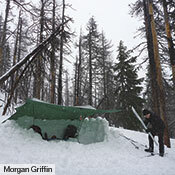 Using a Bivanorak when sleeping under the Tarp 5 – or any of the Tarp models – adds both sleeping bag protection and an extra defense against bad weather. 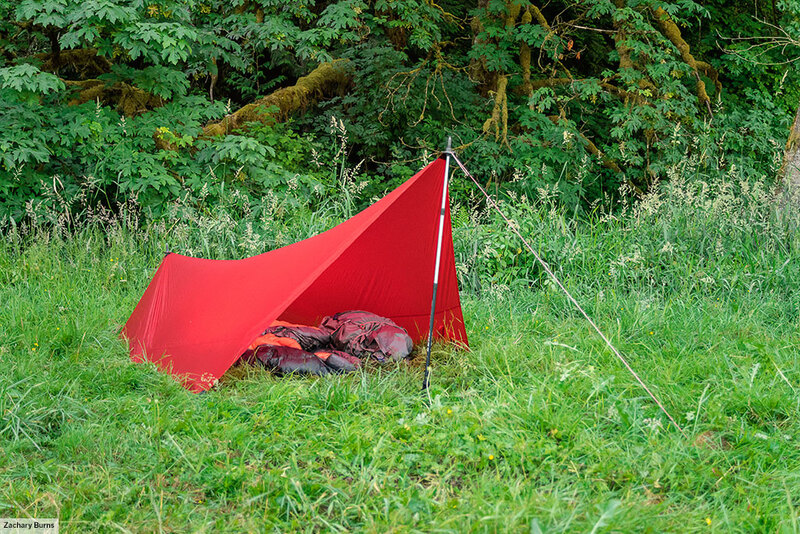 In keeping with its minimalist mission, the Tarp 5 is made from our very light yet strong Kerlon 1000, used in our 3-season, Yellow Label tents, and comes with attached 2 mm guy lines. 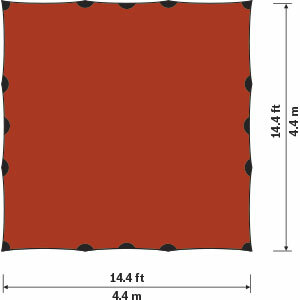 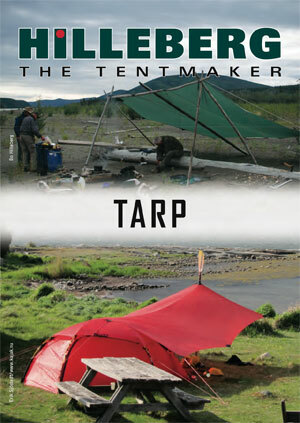 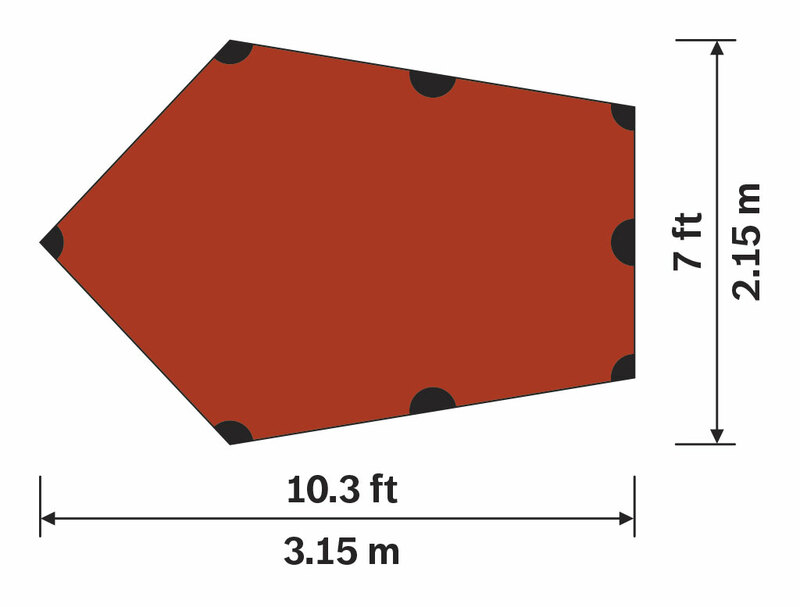 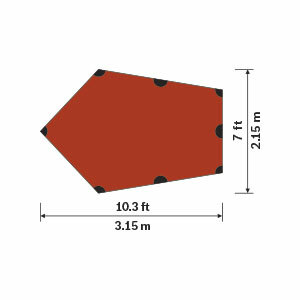 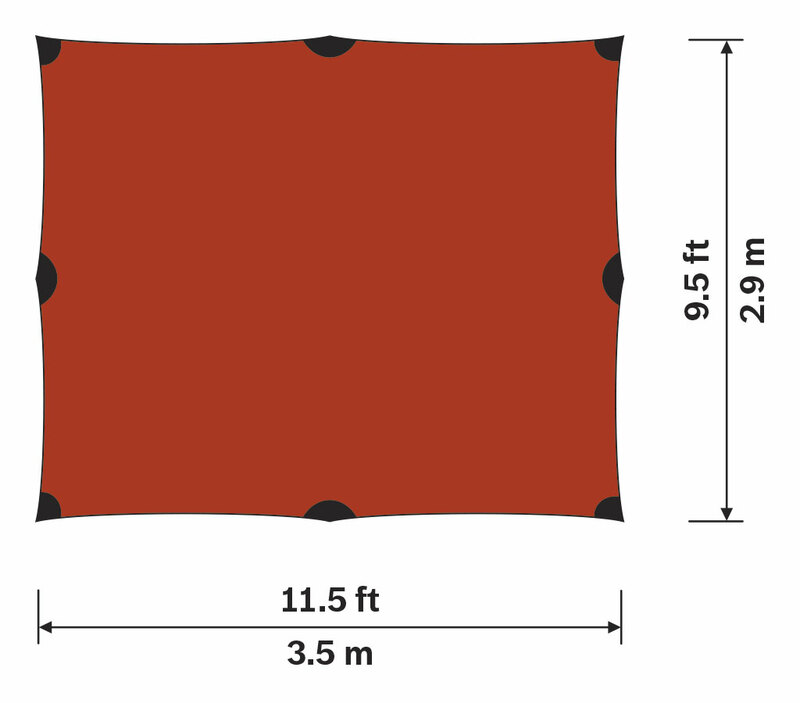 The larger Tarp 10 and Tarp 20 have a more traditional rectangular shape. 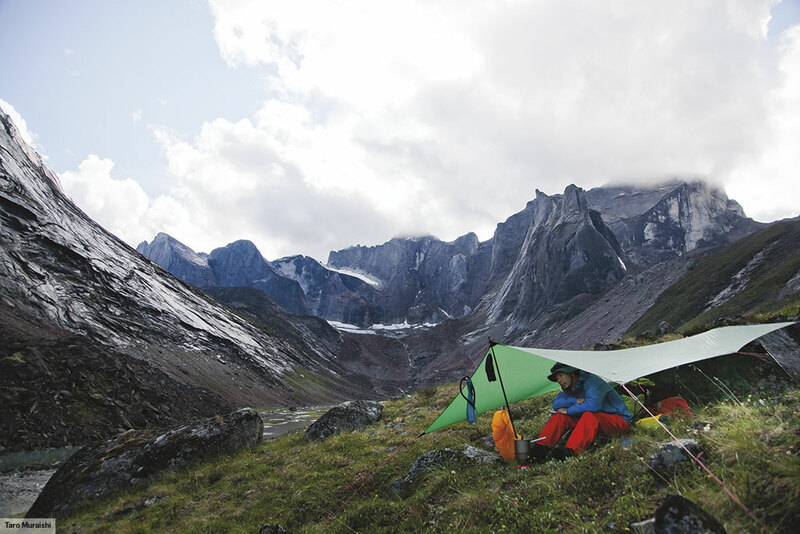 Both are available in a lighter UL version, made from our Kerlon 1200 fabric, used in our Red Label tents, and a heavier duty XP version, made from Kerlon 2500, our strongest fabric. 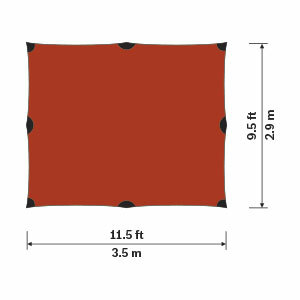 Both come with attached 3 mm guy lines. 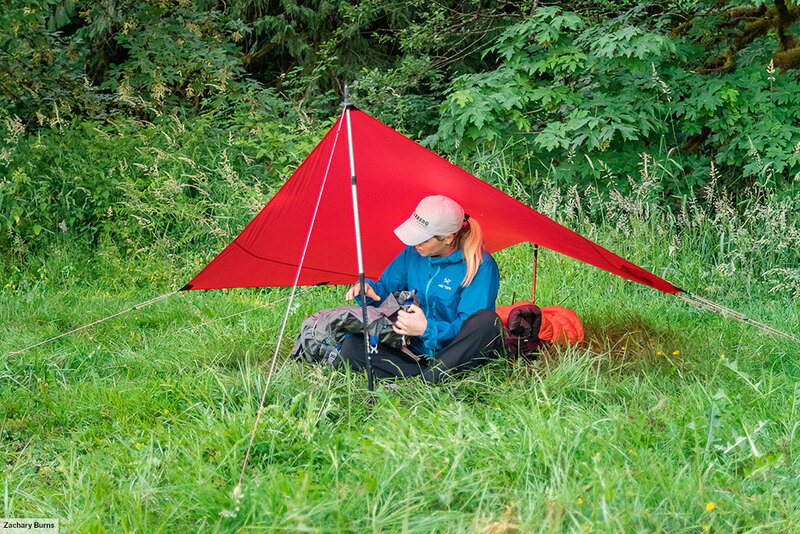 Designed for two person use, the Tarp 10 pairs wonderfully with our Mesh Ridge, our Mesh Box 10, and our Mesh Inner Tents. 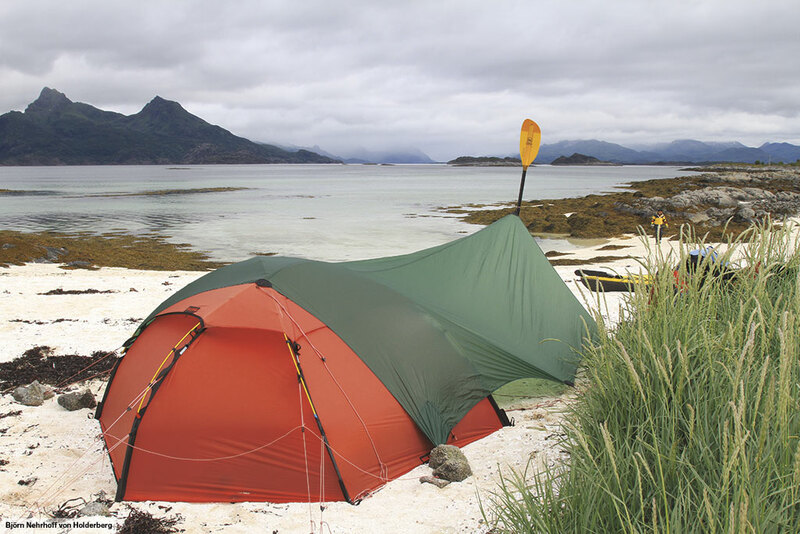 Any of these combinations are a lightweight – and bug free – choice for warmer weather trips. 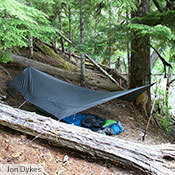 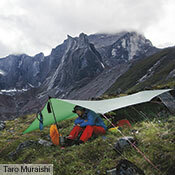 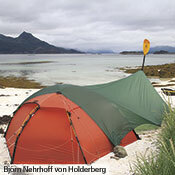 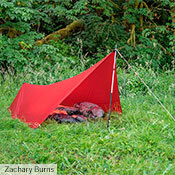 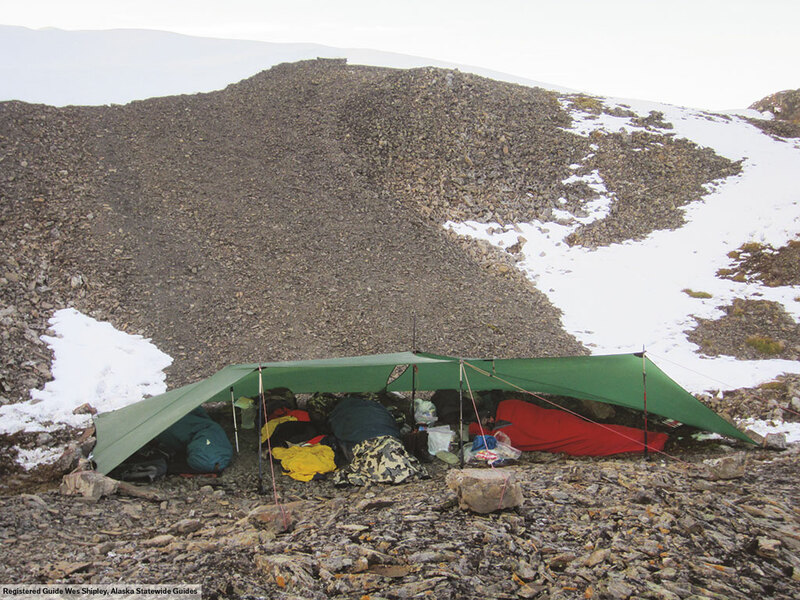 The Tarp 20 pairs with the Mesh Box 20, and is ideal for larger group use. 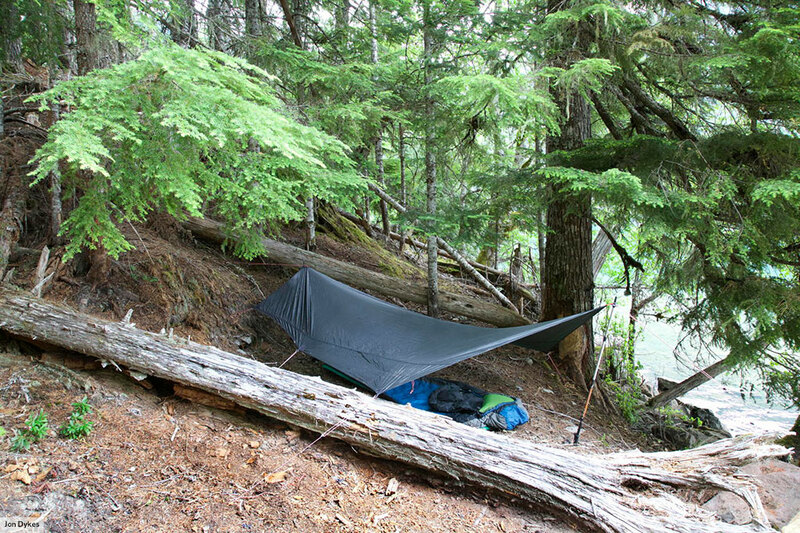 Any of our Tarps are excellent things to have with you on any hike: use one during a break as an out of the weather gathering spot, or as a “dining hall” at lunch or dinner. 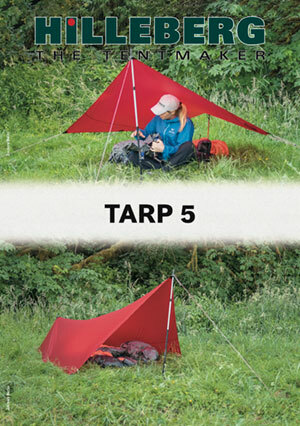 The Tarp 5 will provide shelter for one to two people, the Tarp 10 is a good choice for two to four hikers, and the Tarp 20 will easily cover larger groups.